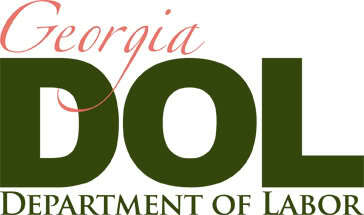 ATLANTA – The Georgia Department of Labor announced today that Georgia’s seasonally adjusted unemployment rate for September was 7.9 percent, down two-tenths of a percentage point from 8.1 percent in August. The rate in September of last year was 8.0 percent. “The rate dropped because there were 5,744 fewer unemployed people in September, according to the federal government’s monthly household survey, and we had fewer new layoffs,” said State Labor Commissioner Mark Butler. While the rate decreased, Georgia lost 7,300 jobs in September, as the total number of jobs dropped to 4,129,200. The net loss was mostly seasonal in nature, with the biggest reduction being the loss of 9,200 jobs in leisure and hospitality, as many students left summer jobs to return to school. Additional losses came in several sectors. Despite the overall loss, government gained 8,200 jobs, which were mostly in public schools, and other gains came in educational and health services and trade and transportation. The over-the-year job gains were in professional and business services, 24,100; trade, transportation and warehousing, 18,800; leisure and hospitality, 14,300; manufacturing, 8,500; construction, 7,300; education and health services, 6,400; financial services, 1,000; and information services, 900. Government lost 1,500 jobs. There were 30,199 new claims for unemployment insurance, which help reflect the number of new layoffs filed in September, a decrease of 923, or 3.0 percent, from 31,122 in August. Most of the September decline in claims came in retail trade, administrative and educational services, and manufacturing. Also, over the year, initial claims were down by 11.9 percent. There were 4,094 fewer claims filed than the 34,293 in September 2013. Most of the decline over the year came in manufacturing and construction, trade, transportation and warehousing, administrative and educational services, accommodations and food services, and health care and social assistance.